Welcome to the innovation tour of the CIO days 2018. 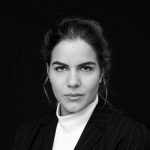 I am Christina, I work as a digital consultant in KPMG and love fast pace technical developments and how these influence product creation and shape industries! Today in our Partner Piazza we have brought together a number of more or less know companies, that use new technologies in order to reshape today world! I hope you share my enthusiasm. Among the innovations we will take you through today are artificial intelligence and how this is revolutionizing business processes, 5G networks, IoT and modern visualizations techniques! Are you curious to see how Elon Musk’s world can influence today’s business and how we can borrow innovations from McLaren to fast-forward the future of our companies? Well I am! And more than that I am excited! So lets go! In this changing world the possibilities of many technologies far exceed the ability of any one firm to capitalize on them. Therefore, the key to competitive advantage is no longer to optimize value chains, but to extend capabilities through collaboration, either directly or through platforms. In this networked world, the best way to become a dominant player is to be an indispensable partner. Today, I will be your partner to show you all the fascinating innovations technology brings us. It is a pleasure to guide you through the innovation desks, weaving through topics as precision agriculture, A.I. powered chatbots, cloud platforms and technology innovation.The last year I have focused mainly on open- and business model innovation, which has helped me by the preparations for these CIO days. Hope to see you there! Accenture Liquid Studio helps enterprises accelerate application development, bringing liquid, connected & rapid applications to life! And through the holographics! Hypervsn is a cutting-edge visual solution for creating, managing and displaying your unique 3D video content with holographic effect. This wall consists of multiple RGB fans, with each of the arms on the fan module boasting programmable micro LEDs. How does it all work? The units processor sends signals to each of those LEDs to tell them where it needs to turn on and start spinning. Your eyes perceive this light as a hologram, and when multiple units are hooked up together, the holographic images can measure up to 3 meters in size. Box Skills adds intelligence to your content. Artificial intelligence is the power behind the new enterprise software revolution, but adding AI to business processes can be a challenge. With Box Skills we bring the best of machine learning to the place where your work is already located, to distil meaning from unstructured content and to accelerate business processes. It makes it possible for your teams to collaborate smarter. Turn on the light in your processes! Ask yourself: How well do I know our internal processes? Are they as effective as I think? Or is there more to be gained? In our innovation cube you will discover how you can easily find and correct hidden errors and ‘weak’ places in processes with Celonis process mining. Result: a more effective process with a higher profit margin! A fairytale? Come take a look! Proper maintenance of the Dutch infrastructure is essential for our accessibility and safety. Think of airports, railways, bridges, locks, roads and tunnels. Our mission is to develop new IT solutions together with our customers that support their asset and area managers. In CGI’s iAMLAB, the Infra Asset Management Lab, we train employees, carry out complex data analyzes and build digital twins. See and experience our innovation desk at the partner plaza! 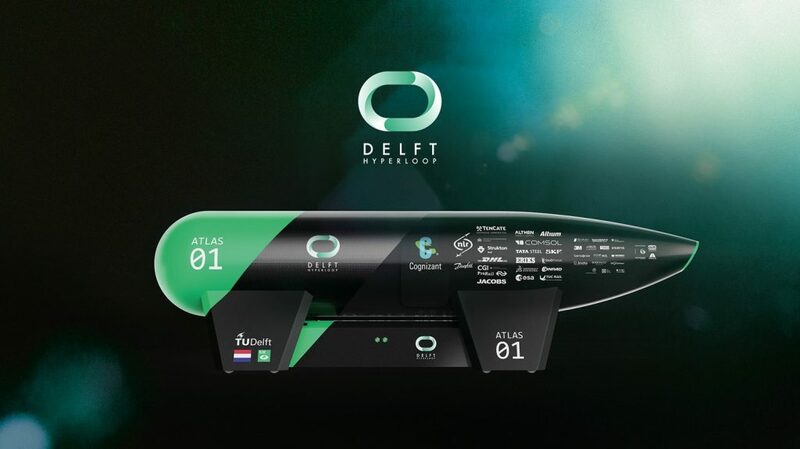 Cognizant is main partner of the TU Delft Hyperloop team. The concept of the hyperloop is to fly a capsule at high speed through a nearly vacuum extracted tube. This concept was introduced by SpaceX, the space company of Elon Musk, which organizes the Hyperloop Pod Competition every year. Delft Hyperloop won the first competition and finished second this year. The students show the capsule at the innovation desk and talk about the drive to innovate and adventures. See here for more info. Experience how connecting innovation, design, engineering, manufacturing, marketing and your suppliers helps you create groundbreaking innovations. We talk a lot about digital transformation – a lot. Acting is a different story. DXC Technology uses a step by step and experimental method to visualize and implement the digital transformation that is needed for your organization. With your own organization, but off-site, in one of DXC’s digital transformation centers. This has already yielded many DXC customers concrete results. What does such a project look like? Come visit DXC to get a picture. KPMG develops advanced digital solutions for the economy of tomorrow. In our view, technology only ensures progress when it is deployed from human insight and creativity. During CIODAY 2018 you can immediately gain insight into the digital maturity of your organization, see how simple chatbots work and experience sector-specific advanced-analytic applications. But also challenge yourself on our wattbike and win a signed cycling jersey from Team Sunweb. See here for more info. Businesses will soon benefit from 5G. KPN is testing the new generation of mobile networks in four field labs. The first results are promising. Sensors, Internet of Things (IoT), drones, virtual and augmented reality make operational processes cheaper, safer and better. New business models come within reach. At CIODAY 2018 we would like to share our first experiences in precise agriculture and autonomous transport and we would like to discuss the possibilities for your organization. NTT Communications is the top in the field of innovation in technology. An excellent example is how NTT gives the Formula 1 team of McLaren a head start by deploying IOT and SD-WAN. Not only does the car offer incredible amounts of real time data during a race, but the driver also wears clothing with sensors that transmit biometric data to the team. Which can immediately analyze the data and give instructions. Within Redwood we extend the limits of what automation and robotics can do for your company. With our solutions we make processes simpler and we get the best out of people. During CIODAY 2018 we will demonstrate various examples and explain how other organizations have applied automation & robotics to automate their business processes from start to finish. 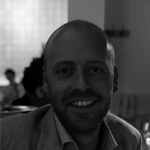 ServiceNow will take you to the Smart Experience on the Innovatie Lane. Technology in the service of the human being. ServiceNow, together with three of its innovative customers, NXP, Thales Transportation and ING, has designed the user experience of the smart society, in which smart transportation, smart access and smart payments are visualized. Smart services which will make you experience how people in the new world will rely on seamless experiences in their daily lives and work. Businesses all over the world are going through significant changes driven by digital technologies. In order to remain the market leader and continue to delight customers, you have to constantly evolve with product and services offering. At the TCS innovation desk you will experience a host of real life solutions for the aviation industry that help to stay close to where your customers are. Leveraging the platform of social media and AI powered digital technologies, customers today can interact from any devices and via any platform offering them consistent experience and satisfaction. Please note these are real innovations, which your peers are already using! Meet us at the TCS stand and experience how the confluence of agile, intelligent, automated and being on the cloud can accelerate your ambition of becoming the most customer centric organization. We make IoT happen: the smart coffee machine. Never miss your daily espresso shot again? Together with TWTG and T-Mobile, T-Systems has made the Redbeans coffee machines smart. 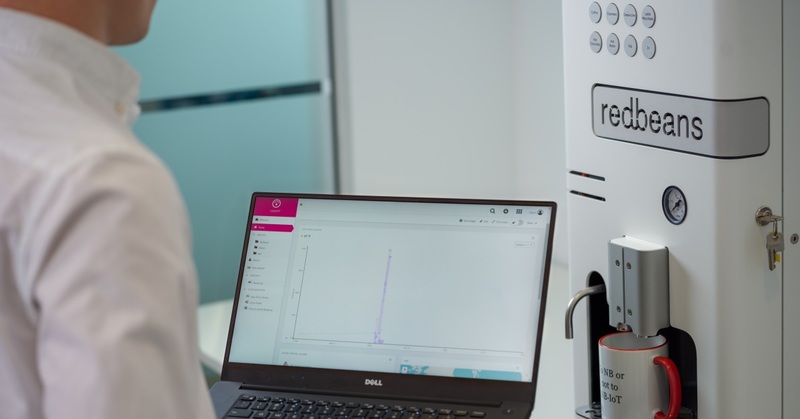 The IoT cloud platform ‘Cloud of Things’ enables Redbeans to read the status of machines in real-time and to minimize the downtime of a coffee machine. Drink a cup of IoT coffee with us in our innovation cube; we will show you how to realize IoT in your company. A transparent logistics chain that preserves people and the environment? Unisys shows how. Experience it yourself by testing our blockchain-based solutions, which uses facial recognition, document management and tracking technology to help our customers achieve their goals and aspirations. Challenge yourself to realize the same for your organization. One thing is only one thing, until it helps people. Patients who can have virtual contact with their nurse at any time of the day. Only one example of what Internet of Things can do. Vodafone, as a frontrunner in IoT, helps many companies optimize their business. In the Vodafone TNW IoT Challenge we look for solutions to business issues from ten large companies. With this initiative we hope to be able to do more for the future of IoT. The future is exciting. Ready?